Ryan Loska came through Group A without dropping a game. In Group B a late withdrawal from Michael English opened things up. Michael Wardle capitalized but was pushed hard by Chloe Marshall. Simon Martin in his first UK-Racketball event came through comfortably against Richard Cobb, Paul Wilson and Charles Bates. After a semi final that included the new “lucky loser” format rather than a three way winners group it was down to Ryan Loska and Michael Wardle to decide the event. In the end Loska had the legs on Wardle who was also playing in the Over 50’s. 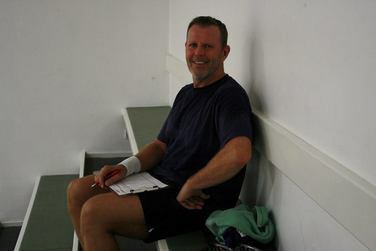 2-0 to the Over 35’s Nationals Champion and another UK-Racketball Title. Top seed Adam Grilli came through group A comfortably. Simon Martin had a slow start in both his group B matches before eventually defeating both Clyde Finch and Michael Wardle 2-1. 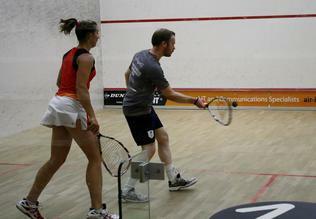 The match with Wardle was quality with both players having match balls and a chance to make it through to the final. Simon Martin took his first title with a 2-1 victory over Adam Grilli in the final. Once again it was a close match with Grilli doing all he could to play at a pace to fast for Martin but Martin’s skill and ability to find a winner saw him through in the end. He will be a handful for anyone in the Nationals in April! Once again the Over 50’s was once again one of the biggest draws on the day. The top seeds from all three groups made it through to the final where they were joined by lucky loser Russell Cox who came runner-up in group B. Patrick Osborn dispatched the luck loser 2-0 to set up a final with Dan Fernandez who also defeated Adrian Henley 2-0. The final of the Over 50’s was once again the last match of the day and once again Patrick Osborn overcame the challenge. Defeated only at Chichester and the Nationals this year Osborn has had a great year that was finished off in style at Nottingham. Tanya Ruff battled hard against all opponents but despite taking a game from Rachael Holmes finished in 4th place. Holmes took a game from Nina Parker but eventually succumbed to the Parker power (Nina’s son George was 2-1 up against Nick Matthew in the World Open only to lose 3-2). Nina came close in the final but Chloe Marshall always looked in control, moving the ball well and moving effortlessly she claimed her first UK-Racketball title without dropping a game! Stephen Widdison continued his solid run of form taking group A without dropping a game. Group B was a lot more open and could have gone anywhere in the end. Top seed Hans Billson suffered an early defeat at the hands of David Browne 2-1 but made up for this with wins over Peter de Banke and David Mudge who had in turn defeated Browne. Three players had all beaten each other but the game that Billson secured in his defeat to Browne made all the difference and took him through the group and into the final. In the final however Billson did not have enough to overcome Widdison who finished off a perfect season with another title! 5 titles for Widdison this season and 19 matches unbeaten! It was a great day at Nottingham and we will be back next year. The dates for the 2018 Series are still being finalized, keep checking the site for details. Click on the file below to access the schedule and see what time you are playing. Click on the links below to access the draws. 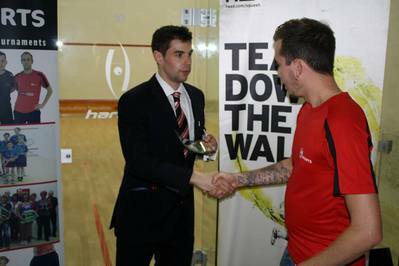 Nottingham hosted the first ever UK-Racketball event in 2010 and is now the longest standing venue off the Series. 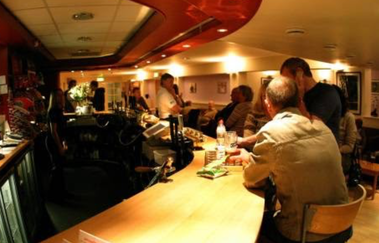 The club is also the home of the UK-Racketball and Fantasy Squash office and shop. This year it was one of the best racketball events in the country, with a BBQ and professional $5,000 PSA squash event on in the evening. Nottingham is the biggest squash venue in the country and the first venue to become a host for a UK-Racketball Event back in 2010. With 10 fantastic squash courts, including six glass backs and one of the best championship show courts in the country, the club is an ideal host for any top squash or racketball tournament. In 2010 The Nottingham Racketball Open was the biggest entry in the Series with Dom Hamilton, Mike Phillips, Jonathan Underhill and Rob Watkins all taking titles and setting off our first UK-Racketball Series. In 2011 Nottingham Squash Club became host to the first annual Fantasy Squash Festival, with the MB-Nottingham Racketball Open running on the same day as the MANTIS Fantasy Squash PSA Final. The Racketball Open attracted almost 100 entrants making it the biggest racketball event of 2011 outside the National Championships; many of the competitors stayed around to watch the PSA Final between Charles Sharpes and Anthony Graham, and the return of squash legend Peter Marshall to the club for an exhibition. In 2013 was the biggest of the UK-Racketball Series events all year, with nearly 90 people taking part! The A grade final was an intense match between Craig Chappel and Ted Jeal as they both had a lot riding on the game. When it came down to it though, Ted’s determination to win was too great and it was he who emerged victorious, winning the event and the Series in one go. In 2014 we are hoping to build upon the success that this event has experienced over the last four seasons and create one of the biggest racketball events in the country. Despite attracting so many competitors the event still retains its inclusivity with players of all abilities and ages competing across the grades. 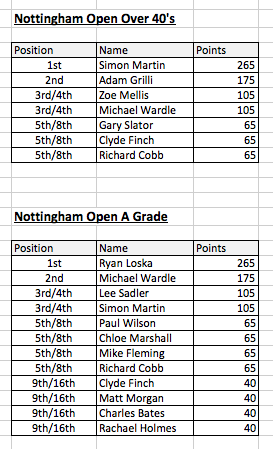 However, if you want to play an event where the A grade is guaranteed to consist of the sport’s biggest names, the Nottingham Racketball Open is definitely it! This is the flagship UK-Racketball Series event and bound to be another fantastic day’s racketball. 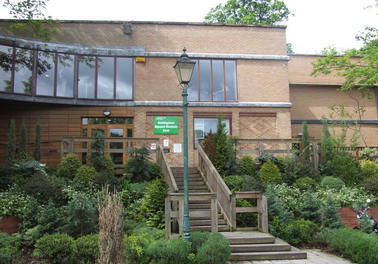 Nottingham Squash Rackets Club has plenty of onsite parking, a bar open all day serving hot and cold food, a gym to warm up in before your matches and a sauna and steam room to warm down and relax after playing.